It was the last home preseason game of the season (Yes, we only had 2 this season) but that just means that opening night is a WEEK away!!! Tonights 5-1 victory over the Buffalo Sabres was a great team effort and a lot of good things that are direct reflections of the hard work the player and Coach Peters have put into play. 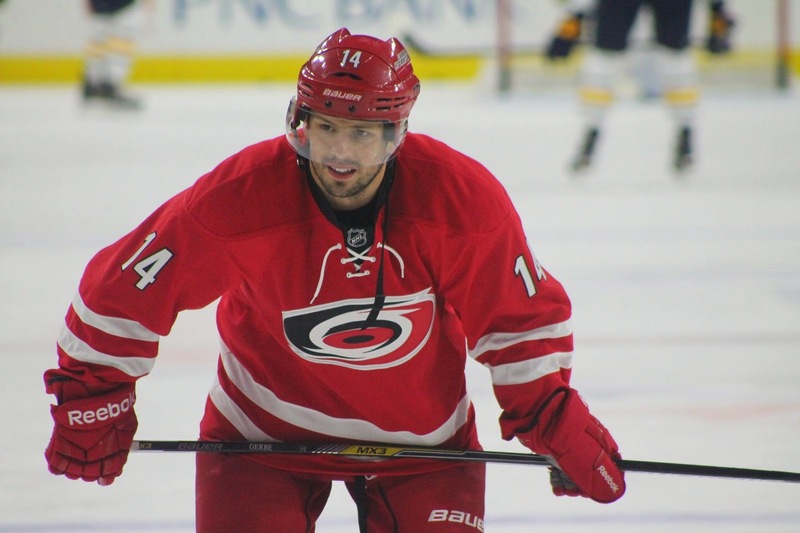 Tonight was a night of firsts as well; Elias Lindholm in his second season got his first career hat trick and Chad LaRose made his first appearance in PNC Arena since the 2012-2013 season. 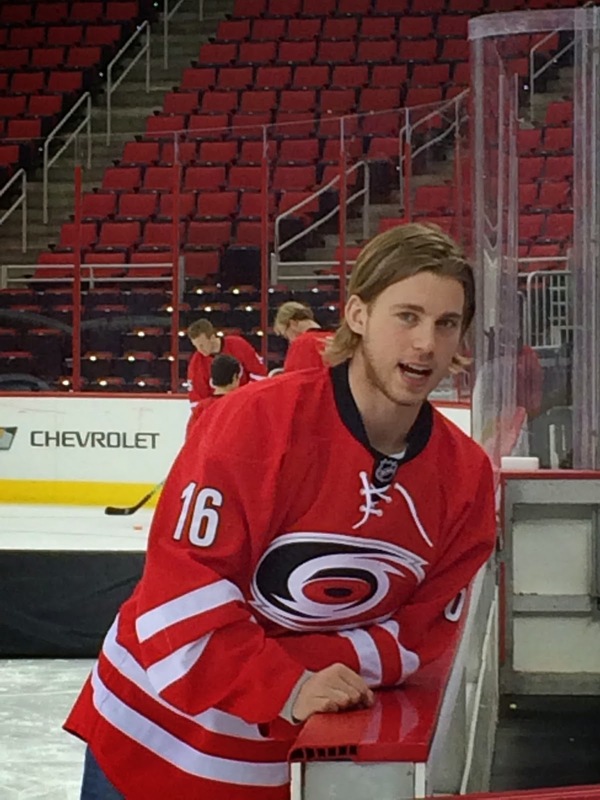 Chad LaRose is a beloved Hurricane among many in the organization and fans! Getting to start the game on the opening line LaRose only lasted a 1:08 until he received a 5 minute major of boarding and then a game misconduct. The first step toward his comeback fell short of his expectations but everyone was excited to see #59 back on the ice. Chad will get another chance to make the Hurricanes Opening Night Roster on Sunday afternoon when the Canes take on the Capitals in the final preseason game! The Hurricanes posted 37total shots on Michael Neuvirth who only stopped 32. The offensive pressure was very consistent and the Hurricanes were very active around the net. Passing was crisp and the breakouts from defense to offense were quick and crispy. Continuing with the positive success from the start of training camp, the PowerPlay was once again affective! 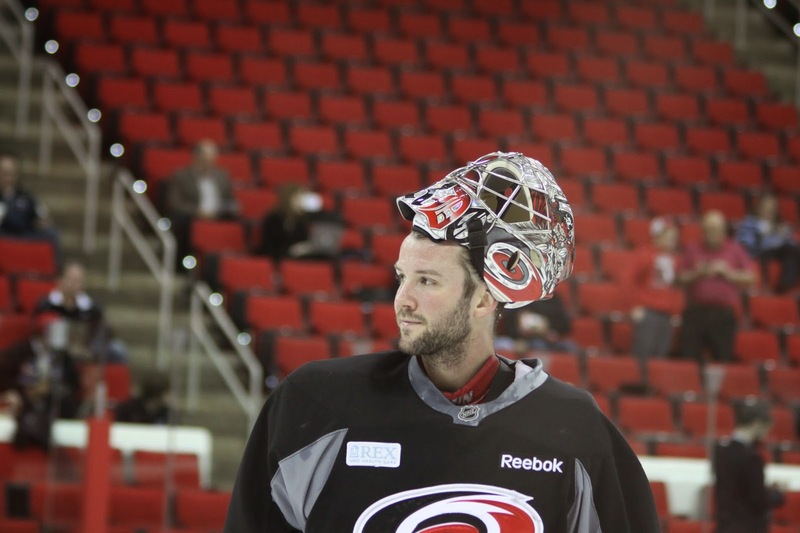 One thing that really stood out tonight was the performance of Cam Ward who stopped 19 out of 20 shots he face and looked like the Cam Ward of old. What helped Ward with only seeing 20 shots was the defensive presence around the crease. 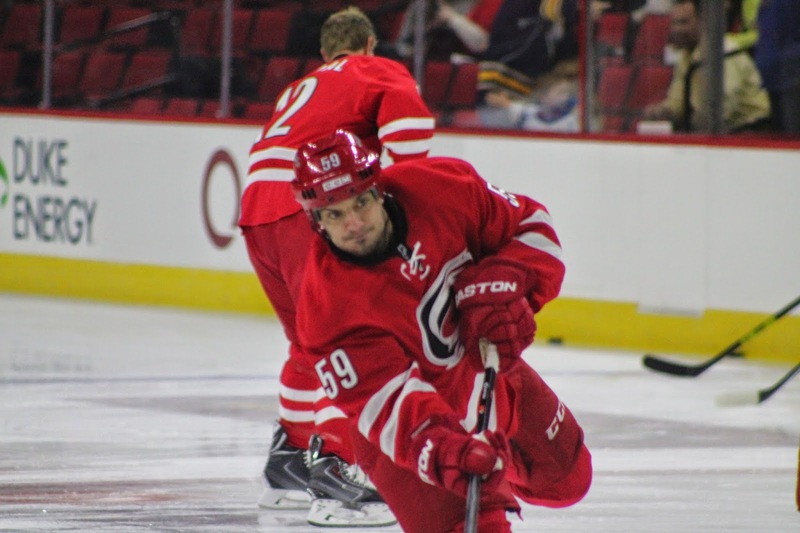 Ward’s preformance was great he was moving from side to side quickly and used his stick effectively.Another strong night in the face off circle for the Hurricanes winning 39 of 59. Riley Nash led the team with an impressive 79% winning 11-14. This has been another area that Assistant Coach Rod Brind’Amour has been working with the players on during practices.